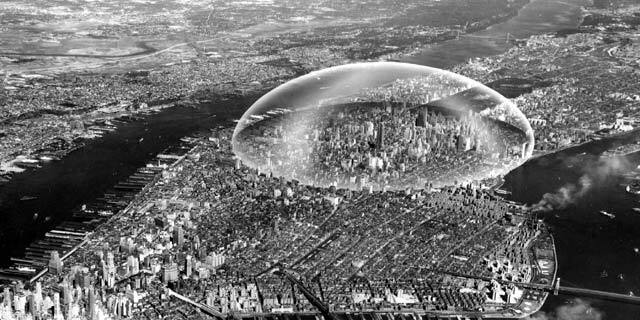 Buckminster Fuller proposed in 1960 the erection of a large dome over midtown Manhattan to control climate, a project that was never built and that could have faced relevant problems. In a given moment, direct satellite mobile phones were introduced to talk between anywhere and any place. The first idea was never implemented due to cost, and the second one was implemented but never gained wide traction. Sometimes simpler systems win. Air conditioning is an example of the kind of urban catalyzers in the ascending sense. We could imagine a dome over the city, controlling climate, and in fact in some areas district heating exists; in northern Europe there are even interconnected district heating systems, which achieve high energy performances. But for the regions of extreme cold in which energy bills are high, or when large landowners can better manage the energy bill through large systems, in most areas in the world in which heat is intense, the “dowry” (not in the marriage sense…) of the middle class has grown. Once you get into a certain income class, you sure buy a car, but you also buy (before or after is a matter of choice) air conditioning. In countries such as Anglo-Saxons, with a substantial share of individual homes, this is not that relevant in terms of urban landscape. But in places in which apartments are relevant, as in Spain or China, or in dense cities, architecture is impacted. Sure, some buildings have their mechanical elements over the roof, but this is still a reduced share, as housing buildings tend to last quite long. 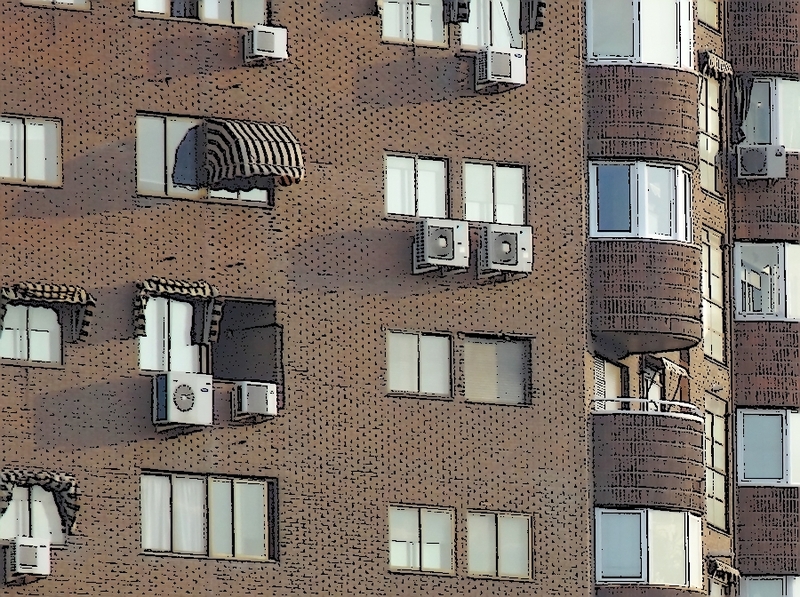 Often local rules forbid locating condensation units for air conditioning in façades, but this is the most common solution as the installer can do a simpler work, ducts are more affordable, and the machine works better. As each owner calls an installer when he likes, and he uses his own ideas, brand and model, architecture suffers. Sure, some buildings have scarce previous qualities, but other get an appalling treatment. It is worth reminding that urban landscape quality is not just a matter of sublime elements, but also clutter control. As dismantling these contraptions from façades is complex, I foresee that many will still be there after years without use. I can even imagine that in a hundred years, even if the system itself is no longer used, some areas will promote their “vintage early XXIst century architecture” bragging about their authentic air conditioning devices…. The bit at the end is interesting. I’ve been to car shows where people were bragging about the “factory air” options in early cars and others were bragging about the aftermarket add-on AC systems.